subjected to surgical malpractice if quality medical care matters. So how can you find the best doctors for testosterone replacement therapy (often referred to as TRT) if you are considering getting medical treatment for your Low T symptoms? If this is the first time in your life that you have found yourself requiring treatment for a hormone disorder, then how will you be able to differentiate between variations in the quality of care that is provided to patients by this country’s hundreds of TRT doctors? Most people will want to get medical testing and treatment for their male hormone deficiency symptoms as close to home as possible; but what will you do if your local area simply doesn’t have any hormone replacement therapy doctors available to you? Many adults have found the solution to this potential dilemma by going online to find highly qualified TRT medical providers who can provide quality treatment to patients on a local basis. 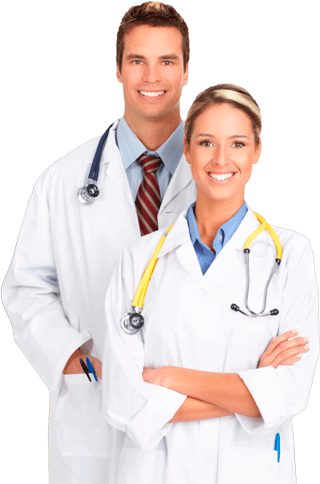 There they can check into professional credentials … read reviews from patients … and obtain lots of other pertinent information from the websites of some of the best and most experienced testosterone replacement therapy doctors in the US. And thanks to the added convenience and accessibility that digital technology has enabled, adult living anywhere in America can receive their testing and treatment for Low T without ever needing to leave their local areas. A respected TRT provider like Nexel Medical is now able to make it easy for adults living in Alaska, Hawaii or any other state to gain immediate access to some of the country’s best doctors for testosterone replacement therapy – just by going online. You can now shop for your TRT doctor in much the same way as you now shop for anything else that is going to improve the quality of your lifestyle. Only this time, it also involves the improvement and preservation of the quality of your health. The therapeutic goal of all medical treatment for testosterone deficiency is to restore a patient’s male hormone supply to within the range that has been clinically determined as healthy and normal. These ranges vary by age because it is natural for an adult’s available male hormone supply to progressively decline as they become older. The best doctors for testosterone replacement therapy understand that there is no therapeutic value in prescribing a TRT program that increases a patient’s hormone supply either too little or too much. This is more likely to happen with doctors who lack the level of experience and specialized knowledge that hormone therapy specialists possess. In choosing Nexel Medical to be your TRT provider, you will gain the confidence of knowing that your treatment is going to be expertly prescribed and managed. We have successfully treated hundreds of patients across the entire US for this condition and are consistent in our use of the proper medical protocols that ensure that your therapy will be low-risk while also being highly effective. We will see to it that your blood test results are interpreted correctly; that your medical history is astutely evaluated for any pre-existing conditions that might disqualify you from using testosterone therapy; and that your treatment program is prescribed to reflect your individual requirements and goals for treatment. And if you choose to use injectable testosterone treatments that you can administer to yourself, as most of our patients do, we will make sure that you are able to learn how to use them correctly. The majority of our patients are able to learn this very quickly simply by utilizing our video tutorial, which explains each step of this essentially very simple process. 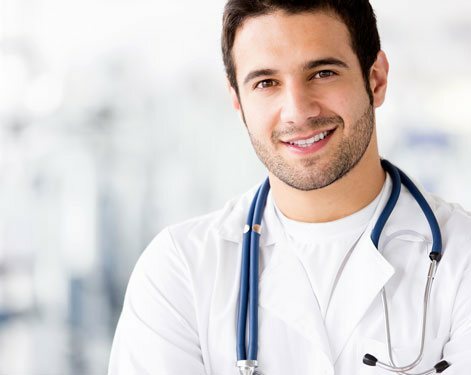 However, our clinical advisors are always available to patients whenever they find they need personal assistance with this, or with any other aspect of their treatment – and that is because the best doctors for testosterone replacement therapy don’t leave anything to chance, and never leave any patient feeling abandoned when they require assistance. At Nexel Medical, we are always there for our patients, wherever they are and for whatever they might need. Why Pay More for Testosterone Therapy at Expensive Clinics? As hormone replacement therapy programs have gained in popularity with adults, a number of new clinics have appeared that specialize in anti-aging medicine; these clinics often include certain types of hormone replacement therapy programs as part of the treatments that they can provide to their patients. Yet anti-aging medical care tends to be expensive, as it is often considered to be non-essential especially by health care insurers. And to be quite frank, anti-aging clinics typically target the type of clientele that can afford to pay – and will pay – any price for treatments that promise to restore their youthful vitality and appearance. However, the best doctors for testosterone replacement therapy are focused on providing patients with health benefits of hormonal balance. These benefits often do include producing an increase in the overall vitality of their patients as well as producing visible improvements in their revitalized appearance; but the primary goal of the treatment they provide is to eliminate the troubling and unhealthy symptoms that are caused by a medical condition such as Low T by restoring their male hormone levels to the optimal range. And because we keep our treatment programs focused on that goal, receiving TRT at Nexel Medical tends to be far more affordable than having it prescribed for you at an exclusive anti-aging clinic that is focused on providing you with multiple non-essential treatments – all of which will be accompanied by a significant cost. 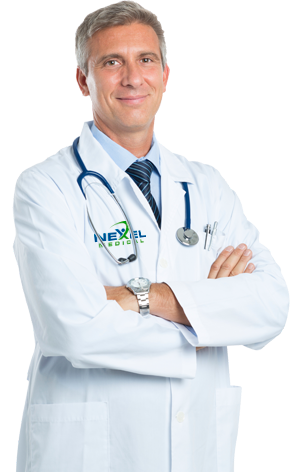 So for a straightforward and conveniently streamlined way to receive testosterone replacement therapy that is prescribed by some of the best TRT doctors available, all you have to do is contact Nexel Medical for your treatment. We bring our quality medical care directly to you – so that you can improve the quality of your hormonal health as well as the ongoing quality of your lifestyle.